At the end of June, the European Institute for Gender Equality (EIGE) invited journalists, communications experts and officials from almost all the Member States to Dublin to present its latest findings on the topic chosen by the Irish Presidency, ‘Women and Media’. These Journalist Thematic Network (JTN) meetings are organized two times a year in the capital of the current Presidency helping to create impactful strategies and ideas to further the goals and values of EIGE. The Network also advises EIGE on implementing its communication strategy, helping to build a large EU-wide media database and fostering ideas on promoting topics such as ‘Women and Climate Change’, ‘Gender-based violence’ or the most current one, ‘Women and Media’. Participants in the JTN include representatives from the largest national newspapers in Spain, Poland, Bulgaria and Cyprus; national news agencies from Portugal and Latvia; the largest online portals in Lithuania and Estonia; national news broadcaster from Sweden; and more. The actual Presidency invited the Institute to carry out a study on a chosen topic from the Beijing Platform for Action (BPfA) – an agenda for women’s empowerment agreed at the UN’s Fourth World Conference on Women in 1995. It aims at removing all the obstacles to women’s active participation in all spheres of public and private life through a full and equal share in economic, social, cultural and political decision-making. Since the EU also committed itself to promote this aim and review the implementation across the Member States, each Presidency chose one of the twelve areas close to its heart – such as ‘Women and Economy’ (by the Polish Presidency), Women and Environment’ (by the Danish Presidency) or ‘Violence against Women’(by the Cypriot Presidency). 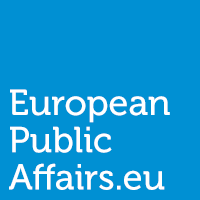 In the process of the EU follow-up of the BPfA, the Irish Presidency of the Council of the EU (first half of 2013) chose to explore gender balance in decision-making in media organisations across the EU. On 21 June 2013, the Employment, Social Policy, Health and Consumer Affair Council of Ministers of the European Union (EPSCO) adopted Conclusions on Women and the Media and took note of the first indicators prepared on the basis of EIGE’s report. Jesper Schou Hansen, Senior Communications Officer of EIGE and Ms. Pauline Moreau. Director at Gender Equality Division, Department of Justice and Equality in Ireland are proudly presenting the report. EIGE’s report addresses the participation and access of women to expression and decision-making in media by analysing the proportion of women and men in decision-making posts in media organisations, both public and private, and the existence of internal policies to promote gender equality in organisations. Thus, the first EU level indicators to measure the progress of gender equality in media are also introduced and presented in the report. Research shows that in spite of an increasingly favourable European legal and policy framework for the advancement of women, they are still facing both hierarchical and sectoral segregation. As for the former, the proportion of women involved in top-level decision making in media organisations is still extremely low. Data shows that across all management levels women constitute around one-third (32%) of senior staff in decision-making positions. The number of women increases at lower levels of decision-making: at strategic level (Chief Executive Officer) women occupy a mere 16% of positions, while at operational level this proportion reaches 33%. Regarding the board membership, women comprise just 25% of the positions analysed in the media organisations in the EU. Women are slightly better represented on the boards of public service broadcasters (29%) than in private media organisations (21%). Regarding sectoral segregation, women and men continue to be segregated by different functions at different levels of importance and/or prestige (e.g., magazines vs. newspapers), roles requiring different skills and competences (e.g., low representation in technical areas). Member States do not do well when it comes to internal equality policies for gender balance in decision-making – gender-equality plans, diversity policies and codes of conduct exist only in around a quarter of the surveyed media organisations (99 across the EU-27 and Croatia). Only a few organisations have formal mechanisms in place to monitor their gender equality policies. Sixteen percent of the surveyed organisations have a committee responsible for equality-policy issues, 14 % have an equality/diversity officer and 9 % an equality/diversity department. In general, public media organisations are more likely than private ones to have a gender equality policy, code or measure in place.